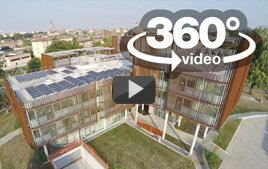 Equipping our drones with 360-degree cameras, we produce aerial 360 degrees 4K videos throughout Italy, Milan, Turin, Varese, Genoa, Bologna, Florence, Venice, Novara, Verona, Trento, Brescia. These products are highly spectacular. 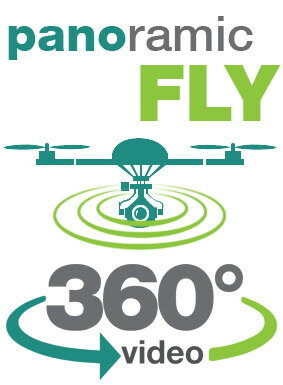 This is because combining aerial shots with drones to the enveloping experience of 360 degree video, in which the viewer decide in which direction to look at. just click on play button on a panoramic movie and drag the image with the cursor (or turning the mobile phones, using the last version of YouTube App). The result is exciting and interactive viewing experience. Exciting because there will never be two identical ways of seeing the same video. 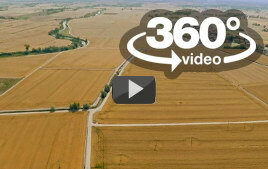 Interactive because the 360 ° panoramic videos can be joined together and explored, creating a real virtual tour. On mobile devices, the experience is even more amazing because they take advantage of the smartphones’s movement.